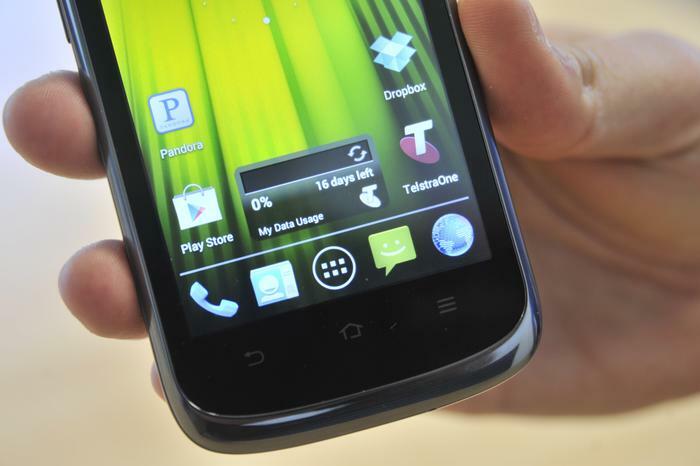 The Telstra Frontier 4G is the first 4G smartphone in Australia to be sold on prepaid. It offers a largely standard UI and decent battery life, but the competitive price comes with a few drawbacks including a highly reflective screen and an often sluggish user experience. 4G smartphones are still in their relative infancy in Australia and are usually reserved for high end models. Telstra is aiming to provide a lower cost option with its new Frontier 4G smartphone, the first 4G smartphone in Australia to be sold on prepaid. The price comes with a few drawbacks though, including a highly reflective screen and an often sluggish user experience. The design of the Frontier 4G is about what you'd expect from a phone at this price point. 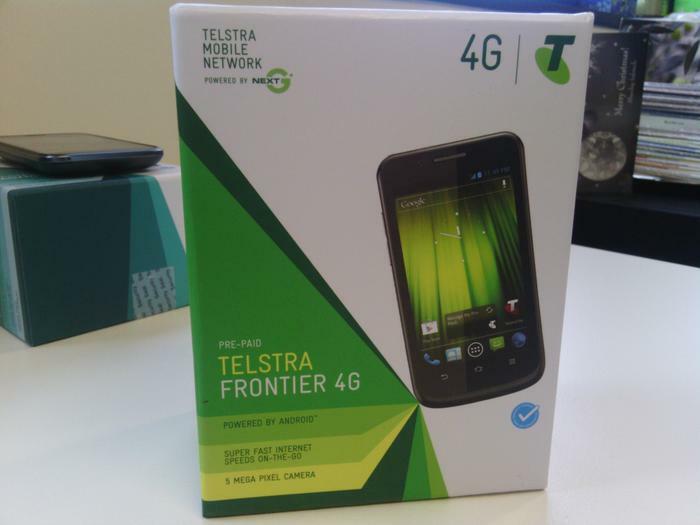 The Frontier 4G is a Telstra branded device that's manufactured by Chinese OEM ZTE. The company has produced various smartphones for Telstra in the past, including the Smart-Touch 2 and the original Smart-Touch. ZTE also manufacturers Telstra's own branded, 4G-capable Android tablet, the Telstra 4G Tablet. The design of the Frontier 4G is about what you'd expect from a phone at this price point. It's constructed largely from plastic and features a black, soft touch finish on the back and a glossy, faux-chrome finish on the sides. A gloss black bezel surrounds the screen with touch-sensitive back, home and menu keys sitting below. These keys are relatively responsive but we wish they were backlit as they can often be hard to see in the dark. The Frontier 4G has reasonable ergonomics, but is a little thick at 11mm. One nice addition is an external antenna port that allows users to boost the mobile signal. The Frontier 4G isn't the most stylish phone on the market but its design is straightforward and provides reasonable ergonomics. The 149g weight helps provide a solid feel but the device is rather thick at 11mm. All ports and buttons are in expected places, including the top mounted power button and headphone jack, and left mounted volume rocker and micro-USB ports. One nice addition is an external antenna port that allows users to boost the mobile signal if required. Combined with a Blue Tick rating that denotes recommended coverage in rural and regional areas of Australia, the Frontier 4G is clearly well targeted to customers who live in the bush. 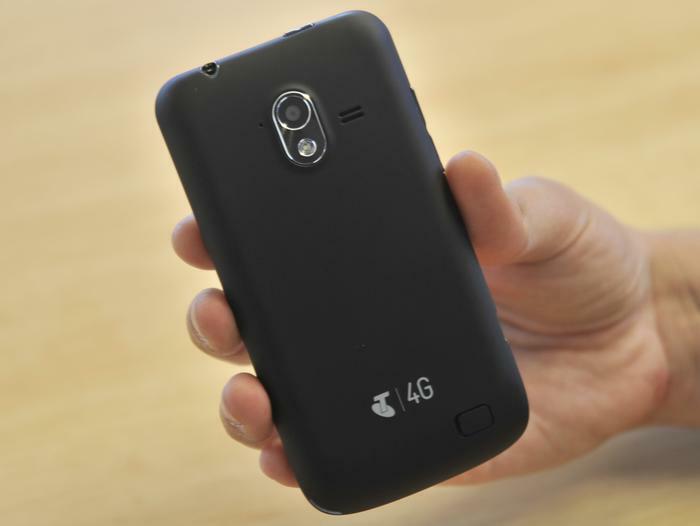 The back of the Frontier 4G has a soft-touch plastic that makes it relatively comfortable to hold. Sadly, the Frontier 4G's 4in screen is one of the most reflective we've come across. The TFT panel is reasonably bright but offers poor viewing angles and is almost impossible to read in direct sunlight. The 480x800 pixel resolution also means that the screen can't render text as well as higher resolution rivals, though that's to be expected at this price point. The Telstra Frontier runs the 4.0 'Ice Cream Sandwich' version of Google's Android operating system which is surprisingly very close to a "vanilla" UI. 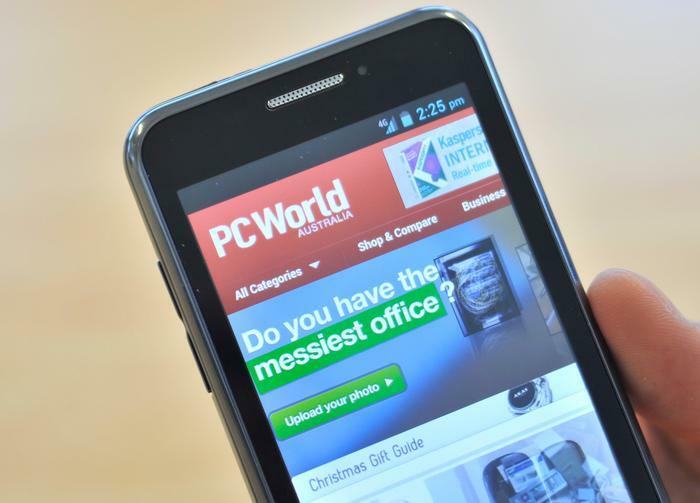 Many previous Telstra smartphones were heavily customised and often bloated with pre-loaded apps and services, but the Frontier 4G is a welcome change. It uses the standard Google icons and topography, so the user experience is similar to a stock Android device like the Google Nexus 4. Motorola's new RAZR HD and RAZR M smartphones received similar treatment, so it's good to see Telstra scaling back on custom skins. The Frontier 4G's screen is very reflective and hard to see in direct sunlight. The Frontier 4G stutters during basic tasks such as locking and unlocking the screen and swiping through home screens. The TelstraOne app and a range of widgets come pre-loaded on the Frontier 4G, along with a file manager, an FM radio, a notepad, a sound recorder, a world time app, the X-Office suite and a TouchPal keyboard. Thankfully, the latter is optional so you can revert to Google's standard Android keyboard. The most notable customisation is a lock screen called Mi-EasyAccess. This enables you to unlock directly into six apps of your choice, in addition to holding the icon to unlock into the home screen. However, the long press required is too slow and the unlock animation quickly becomes annoying. The Telstra Frontier 4G is quite sluggish during day-to-day use. While we weren't expecting hugely impressive performance at this price point, the Frontier 4G stutters during basic tasks such as locking and unlocking the screen, swiping through home screens, opening and closing apps and even opening and closing the app drawer. First smartphone buyers may not notice this slowdown too much but if you've used a moderately fast Android phone in the past, you'll be left disappointed with the speed of the Frontier 4G. Telstra has assured us the phone will be upgradeable to the latest 4.1 "Jelly Bean" version of Android in the coming months, so this may provide a welcome speed boost. The telco says the update is "in the works" and that it has "worked very closely with ZTE" to deliver the latest Android software, but has not confirmed an availability date. The rear camera takes average quality photos with high levels of image noise. 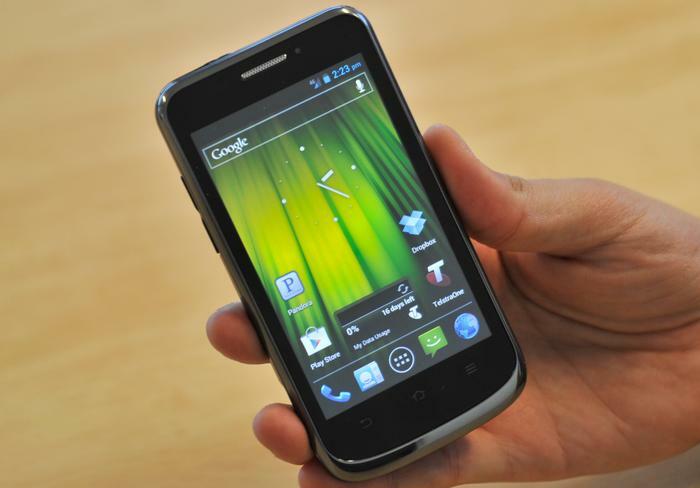 The Telstra Frontier 4G has a 5-megapixel rear camera and a VGA front-camera for video calls. The rear camera takes average quality photos with high levels of image noise and a lack of clarity marring most of our test shots. Colour reproduction is reasonable, however, and detail levels aren't the worst we've seen on a camera phone. The best feature of the Telstra Frontier 4G is obviously the fact that it connects to Telstra's excellent 4G network in Australia. The speeds you manage to achieve on Telstra's 4G network will depend on a number of factors including congestion, location and time but we managed to achieve download speeds of up to 26 megabits per second (Mbps) and upload speeds of over 20Mbps on the Frontier 4G. The phone is also compatible with HD Voice, though you'll obviously need to to be talking with another compatible phone on the Telstra network to reap its benefits. A photo we captured with the Telstra Frontier 4G (click to enlarge). The Frontier 4G comes with a 1785 mAh battery which lasted almost a full day during our review period. Less intensive users may be able to squeeze a full day of use out of the Frontier 4G before needing a recharge but like most 4G phones, making use of those faster data speeds quickly drains the battery. The Telstra Frontier 4G is available now for $299 and can be paired with a range of Telstra prepaid plans.